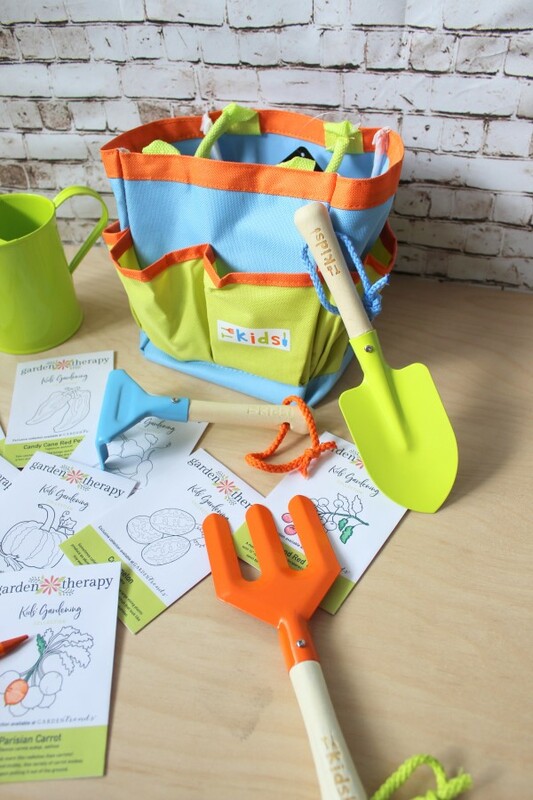 This exciting Garden Therapy Limited Edition Kit comes with everything you need to help children experience the wonder of the garden: vegetable varieties that are fun to grow plus a kid-sized garden toolset that gives kids the motivation to get out there and dig. Even the seed packets were made with kids in mind; each one is printed on white paper with a special image that you can color. 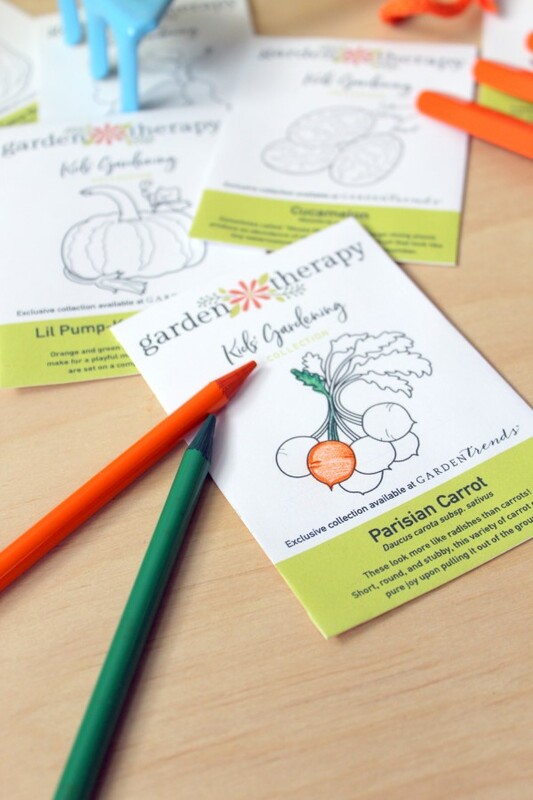 Kids will have a blast designing their own seed packets and then growing what’s inside. The Kids’ Gardening Kit seed collection includes 8 annual vegetable plants: Candy Cane Red Pepper, Candyland Red Tomato, Aunt Molly’s Ground Cherries, Cucamelon, Parisian Carrot, Dragon Tongue Bean, Baby Bottle Gourd, and Lil Pump-Ke-Mon Pumpkin, a handpicked selection of some of the most fun vegetables and fruit out there! This combination of plants will help you grow your most exciting vegetable garden yet! The vegetables in this collection are not just for children! They are for adults too. 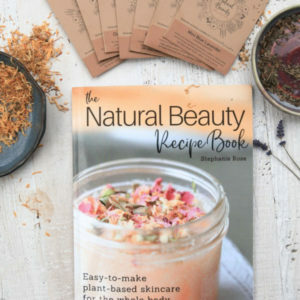 The purpose of this collection is to engage the younger generation in gardening so you can spend time with your kids, grand kids, nieces/nephews, or even a school group doing something both healthful and educational. I guarantee you will get as much, if not more, out of growing this garden as children will. 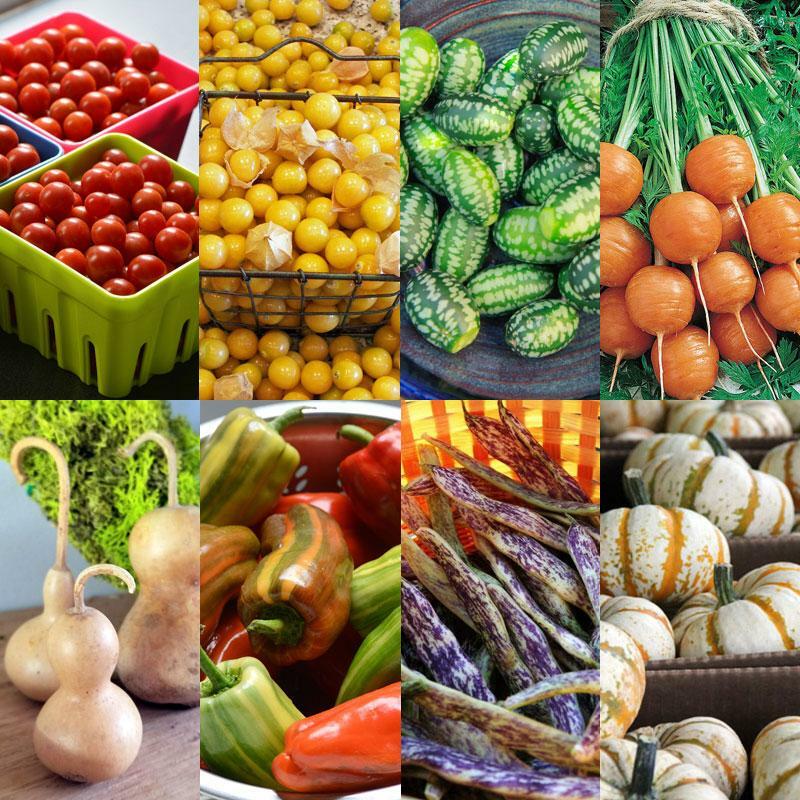 The seed varieties are whimsical, colorful, interesting, and taste delicious. A perfect combination for getting kids interested in the garden, so you can engage them in growing food and build a strong foundation for their health. Playful vegetable names like Candy Cane Red Pepper, Candyland Red Tomato, Dragon Tongue Bean, and Lil Pump-Ke-Mon Pumpkin help to engage children in the garden by linking growing food to play. This will help them learn that gardening for food can be fun for them and will help keep them active. Taste is really important to kids, and these vegetables are nothing like yucky Brussels sprouts! The edible selections not only taste good, but you’ll quickly see that a handful of Candyland Red Tomato or Aunt Molly’s Ground Cherries is more like candy than a health food. Setting up kids to develop an affinity for fresh flavors, right from the garden. If we eat with our eyes first, children gobble or reject food based on first sight! If vegetables look good, you’ll have a much better chance that even picky eaters will be eager to taste, and love, this vegetable garden. 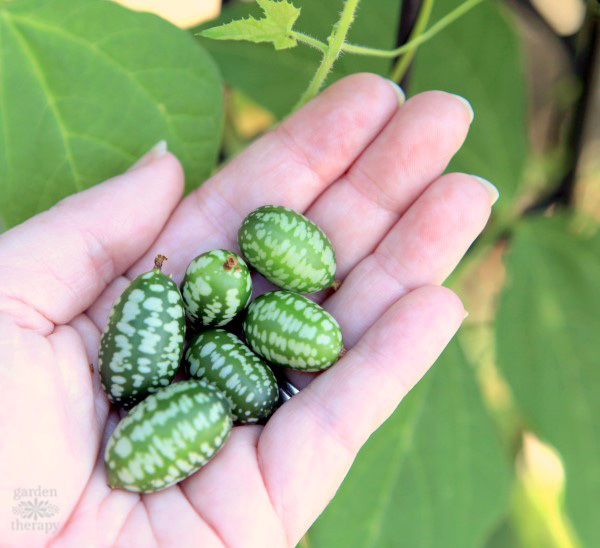 Kids love small things like cucamelons and currant tomatoes so they will pick them by the bucketful. Aunt Molly’s Ground Cherries are collected underneath the plants when the papery husks fall to the ground. It’s like an Easter egg hunt every summer day under these prolific plants, meaning you have a built in activity around harvesting: a scavenger hunt! Many of these varieties can be eaten fresh, right in the garden, which connects the taste with the plants that are growing in the garden. This connection gives kids positive associations with outdoor activities like growing food and more of an eagerness to try new things. Seed packets feature 8 unique designs on white envelopes so kids can color the seed packets and express their creativity. This is also a wonderful opportunity to teach children about what the harvestable parts will look like after planting, keeping them interested when growing from seed can take months to produce something they can try. Each and every one of these vegetables was picked because it is something very special. Head over to our blog post on the collection to read more about the exciting vegetable (and fruit) varieties included. We guarantee that kids from Age 2 to 82 will LOVE these! 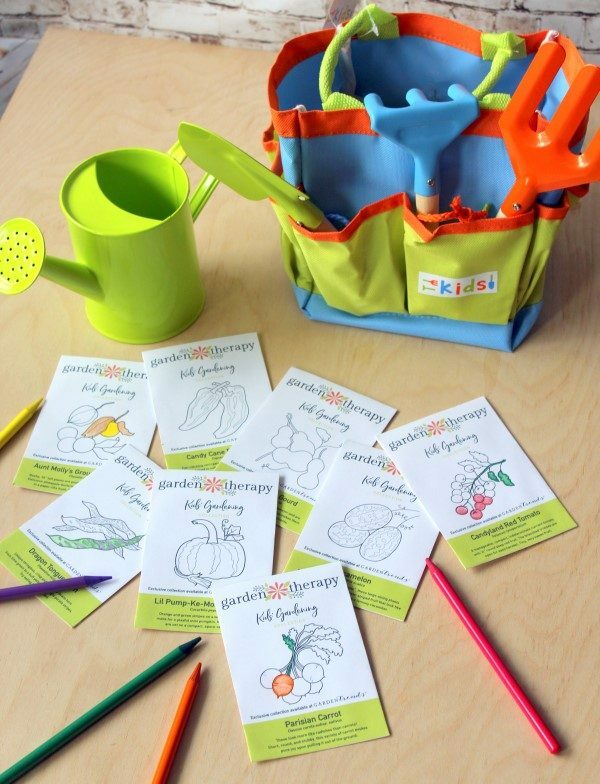 The Kid’s Garden Bag and Tool Set is a fun way to include kids in the activity. Adult tools are pretty exciting too, but to have a set of tools that the children have ownership over gives them the idea to also take ownership of the garden plants. 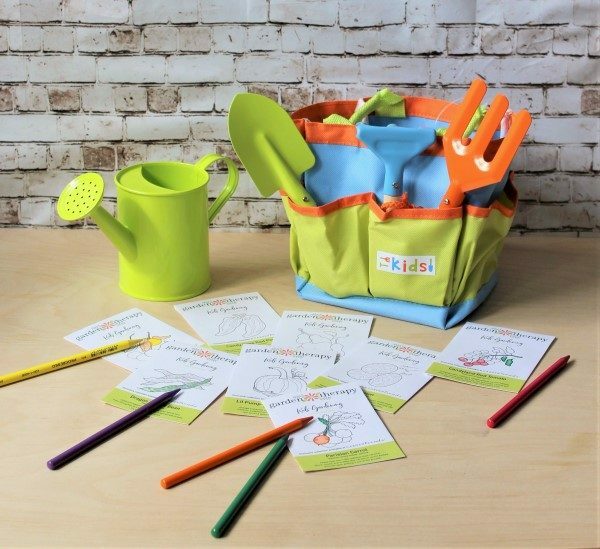 This colorful tool bag was designed for kids and it comes with a trowel, hand fork, mini rake, and watering can. Tools are child-sized, yet strong and sturdy—constructed of wood and metal so it will last through whatever kids put them through. Suitable for children ages 3 and up! 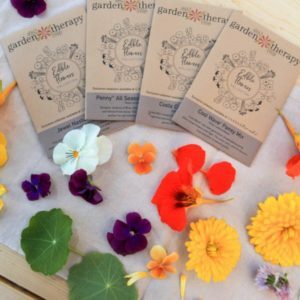 And for each of my kits I include a seed-starting and culture guide that shows you how to start the seeds indoors and outside so you won’t have to worry that they won’t sprout! 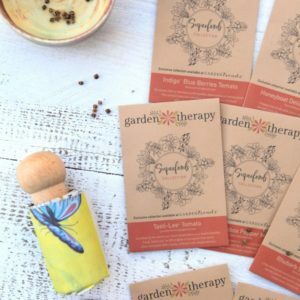 The guide also provides a ton of detail on each seed variety like soil temperature and days to germination so you don’t have to guess how to grow them. The information is all there at your fingertips.